Many who are new to this natural remedy want to know how to prevent kratom nausea, headaches & constipation. 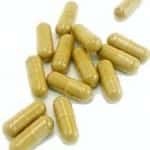 Due to previous negative experiences with other orally ingested herbal medicinals, it’s common to feel some trepidation about possible stomach and head-related side effects from the use of kratom. In some cases, ingesting the plant is known to cause light headaches and some stomach upset. The good news is, these symptoms are fairly rare. By respecting some basic guidelines and following a few insider tips to protect the body, there’s no reason to feel any unpleasant side effects at all. In fact, one of the great benefits of taking kratom is to ease and erase those very symptoms! Calculating the right dose for your body is obviously important for creating the effects you’re looking for. 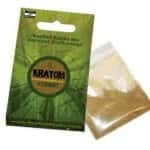 It’s also a valuable tool for how to prevent kratom nausea and other possible side effects. Nausea can sometimes occur when you first start using Kratom powders – especially products that have not been properly de-stemmed. But it is also fairly easy to avoid nausea with a few simple steps. Some people assume that “more” always equals greater efficacy. While larger doses of kratom do pack a wallop, they may not steer you to the effects you desire. In larger amounts, kratom generally takes on a more sedative effect. This may not always be ideal – especially if you are taking this ethnobotanical to boost energy levels and concentration. A higher overdose also gives your body more work to do – processing, sending, and receiving signals to and from the nervous system, and expelling waste. Small overloads in any of these tasks are what lead to side effects, as the body must redirect its energy to handling the medicine. Good rule of thumb: Start with a lower, “threshold” dose around 1-3 grams. After 45 minutes, if you wish to increase the intensity of effects, add another gram. In future sessions, start with the final total dose you took the previous time. 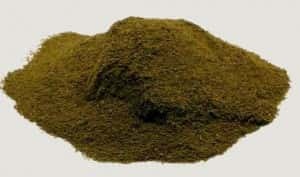 Most people actually prefer lower doses of Kratom powders or capsules. As a bonus, side effects are extremely rare when you stick to low doses. 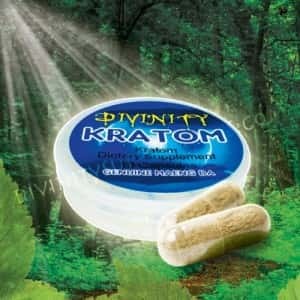 Most common kratom side effects like headaches and constipation can be prevented in advance by the simple combination of excellent hydration and a high fiber diet. If you don’t already do these things for other fitness reasons, they are simple ways to make your body run better overall, with greater ability to process and utilize medicinals as they are intended. Water: There is no greater therapy for side effects than to drink an abundant amount of water every day, whether or not you are using kratom. The health benefits of hydration are well-documented for every single system of the body. Water is particularly effective in clearing plant alkaloid-related headaches and nausea. It is also critical for normal bowel function. Some people forget to drink water while taking kratom – a good idea is to keep a full glass handy, and try to finish it and refill it every hour or two. Fiber: Sometimes Kratom can cause constipation when used on a regular basis. This was actually touted as a benefit for Mitragyna Speciosa and it was previously used as a diarrhea medication in Thailand and other Asian countries. But if you find that you are becoming uncomfortably constipated with Kratom use, just add fiber. Dried fruits and nuts are a superb and easy way to add fiber to your diet. Fiber acts as a kind of “sweeper” in your gut, aiding in clearing out any undigested matter or toxin. If you have an overabundance of kratom in your system, fiber will move it out. Pick any medicine, plant-based or pharmaceutical, and you’ll find countless reports online from users who have run the gamut from great experiences to poor ones. While you should always take online reviews with a grain of salt, it is valuable to draw upon the wisdom of your peers regarding supplements. Kratom fans don’t always have a scientific explanation for the efficacy of their methods on how to prevent kratom nausea, headaches & constipation. All they know is what works. Grapefruit juice. This is known as both an excellent potentiator and a side-effect stopper. Grapefruit’s polyphenolic compounds do both by inhibiting the metabolization of kratom – so the pain-relieving, stomach soothing effects are stronger, longer. Antacids. Regular strength, over the counter antacids are a great way to stop any stomach discomfort felt from Kratom products. But here’s the trick: take them a full 30 minutes before consuming your dose of kratom. This takes a little bit of advance planning, but if you know you are susceptible to stomach upset, this will stop it before it happens, without interfering with the effectiveness of your remedy. Olive oil. Just a quick spoonful of olive oil taken in the morning will help prevent any constipation you may experience from kratom use. It may seem unpleasant at first, but it’s a great habit it get into to regulate normal bowel function. 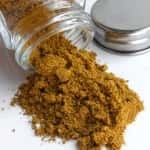 So, the best methods for how to prevent kratom nausea, headaches & constipation come down to good old fashioned common sense. Whenever you take any herbal remedy, especially if you are not experienced with its effects, it’s a great policy to start slowly and listen to how your body reacts. 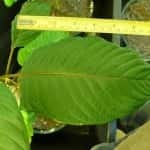 Kratom is very safe and in most cases, small side effects can indeed be eliminated by adjusting dosage, strain, and frequency of use. Consider this process of adjustment part of the soothing, uplifting dialogue you share with the plant – you both have the same goal: to make you feel better.